The Hastings College Broncos Women’s Soccer ID Camp is for all 9th to 12th-grade female soccer players. It is a 3-day training program from July 17 to July 19 at the Osborne Family Sports Complex in Hastings College campus. This event is an exceptional preparation ground for those who aspire of playing at the college level. The camp will introduce technical and tactical training methods that the college’s women’s soccer team is currently using. In addition, it will provide an experience on how it is like to be a top-level student-athlete. The camp also focuses on refining technical and tactical decision-making of the players. There will also be small sided as well as 11v11 games. Goalkeepers will have their own skill specific training sessions. Both residential and commuter campers are welcome in this training program. Hastings College is a private, coeducational, liberal art college in Hastings, Nebraska. It is an affiliation of the Presbyterian Church. The college has an accreditation from the Higher Learning Commission’s North Central Association of Colleges and Schools. Hastings College is a notable academic institution. As a matter of fact, it is 17th in Regional Colleges Midwest, 2018 edition of Best Colleges rankings. The college is also 16th in Best Value Schools, 2018 rankings. Hastings College is home to around 1,200 undergraduate students. Furthermore, Hastings College has 23 intercollegiate sports teams. These athletics teams are competing in the Great Plains Athletic Conference of the National Association of Intercollegiate Athletics. The athletes’ nickname is Broncos while their identity colors are crimson and white. The head coach of the Broncos’ women’s soccer team is Chris Clements. The season will be his 4th year at the helm of the women’s soccer program. Coach Clements is a University of Central Missouri graduate with Master’s Degrees in Curriculum and Instruction and in Sports Management. Then, the team’s assistant coach is Emily Arigo. Katie Rice and Ellis Riley are the graduate assistant coaches, And finally, Nolan Kratzer is the athletic trainer. 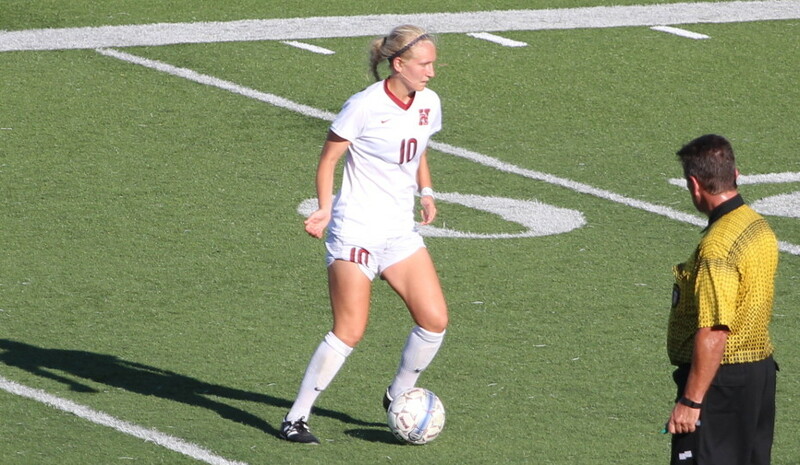 The Hastings College Broncos Women's Soccer ID Camp is an exceptional preparation ground for those who aspire of playing at the college level.